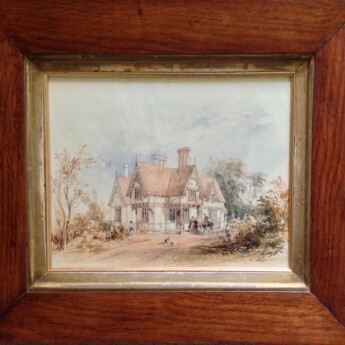 This is a finely executed painting of a pretty cottage orné set in a rustic landscape with figures. The gardener is hard at work whilst two ladies greet a gentleman on horseback and two dogs square up to each other in the foreground. It is the accompanying floorplan drawn by the architects Thos & Thos Cundy Jr that is attached to the reverse of the frame that makes this particularly interesting. 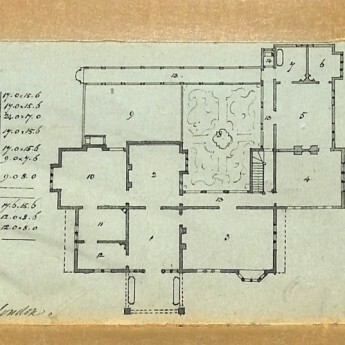 The plan is dated October 1845 and lists the ground floor rooms with their dimensions. A pencil note adds “Designed for the Prince de Moskowa No 7”. 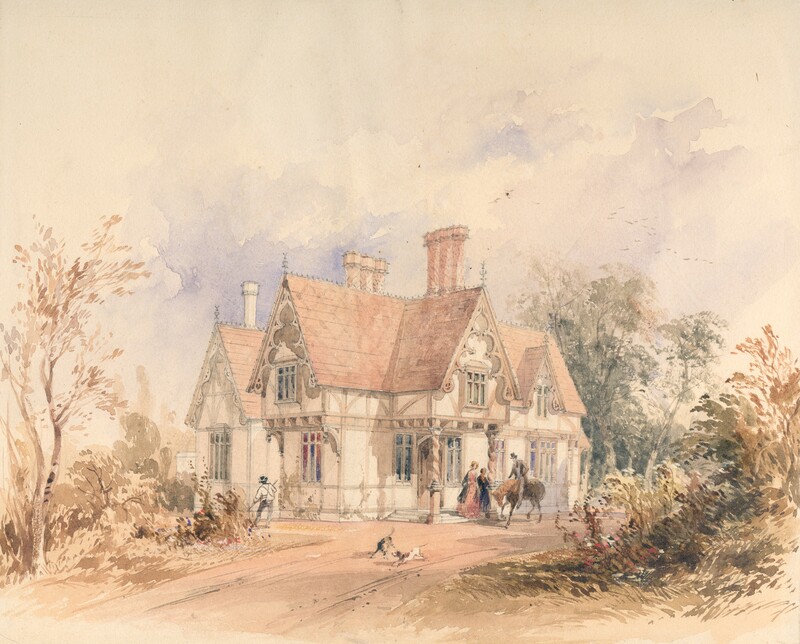 Whether the house was actually built is unknown. The title of Prince de la Moskowa was created by Napoleon I for the Marshal of France, Michel Ney after the Battle of Borodino outside Moscow. Ney became a Peer of France. Upon his execution in 1815, the peerage was revoked, but it was restored in 1831 when it passed to Ney’s eldest son, Napoléon Joseph (born 1803). The title became extinct with the death of the last heir in 1969. 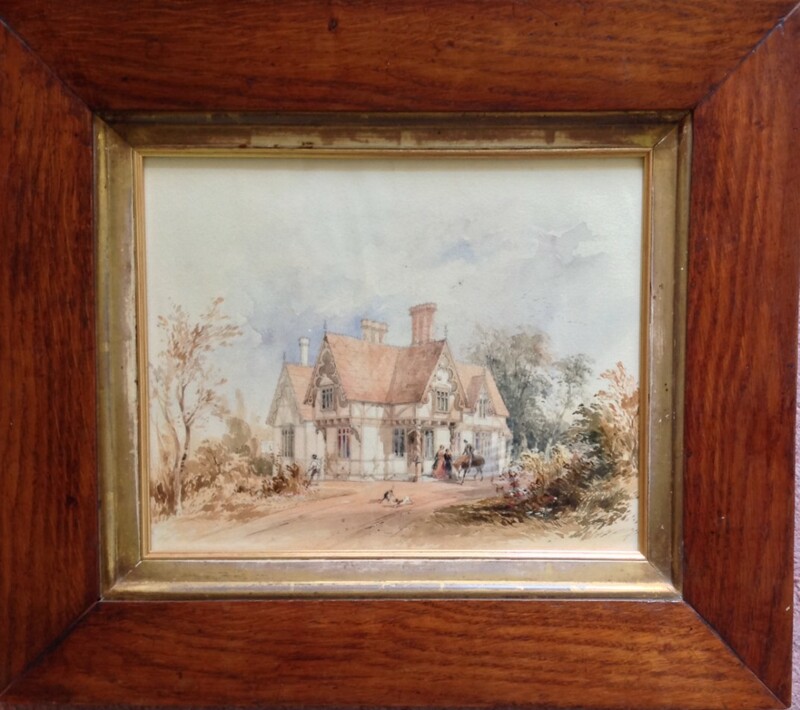 Watercolour and pencil on paper housed in a handsome oak frame with a deep gilt liner. There is a slight vertical ripple in the paper and light dust-soiling to the unpainted area. The gilding on the slip is rubbed and faded though the frame itself is in fine condition. 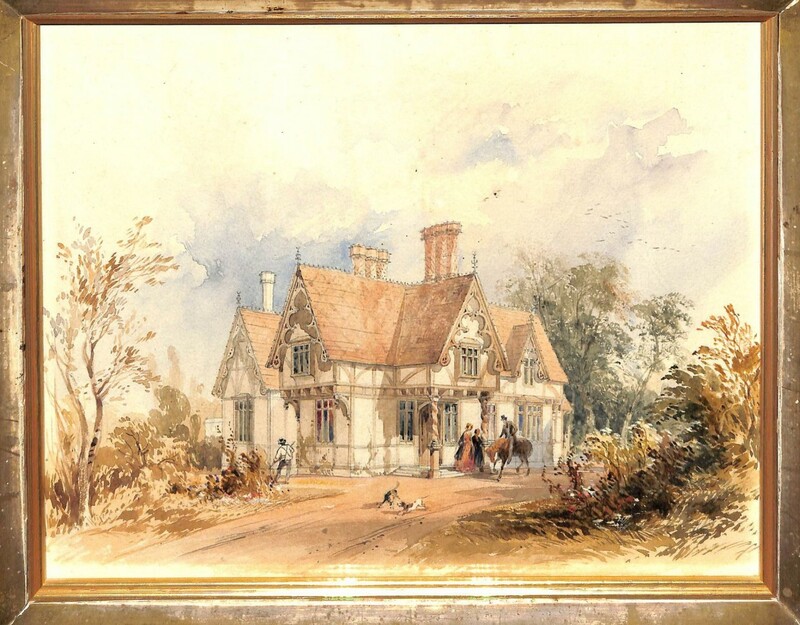 Artist: Thomas Cundy were architects in London for three generations. 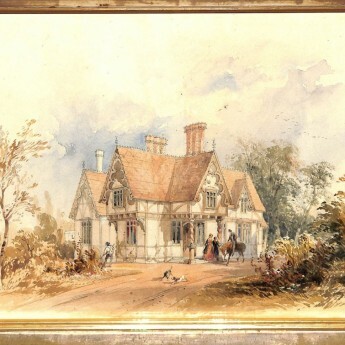 From 1821 they were also surveyors to the Grosvenor estates in London and designed many picturesque Gothic buildings. Thomas Cundy Junior (1790-1867) worked mostly on building churches in west London whilst his son, Thomas Cundy III (1821-1895), designed parts of Queens Gate and several Italianate terraces in Kensington.